June 21, 2017 - Want to Retire Closer to Grandchildren? 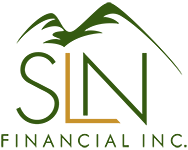 Consider These Items | SLN Financial, Inc.
As retirees embrace their new life stage, many of them consider relocating to other locales. In fact, almost two-thirds of retirees plan to move or do move in retirement.1 While retirees move for a variety of reasons, relocating in retirement carries significant financial obligations. And a common reason for retirees to move is to be closer to family. If you’re exploring retiring closer to your grandchildren, here are some key financial items to consider. 1. Analyze the cost of living in your family’s locale. 2. Consider renting for a short term before moving. 4. Determine whether you need to work to support your new locale’s cost of living. Your retirement goals, financial needs, and lifestyle preferences will further guide if moving closer to grandchildren make sense. If you’d like to explore your financial details and if relocating is a viable option, we’re happy to have the conversation. Please contact us, today.